Campus scholarship opportunities are posted to AcademicWorks (AW) and students apply to these opportunities by logging in to AW. Students are encouraged to check this site often for scholarship availability. The bulk of scholarships are posted in January for the following fall semester. Students should log into AcademicWorks and complete the General Application and review the scholarship opportunities that they appear to be qualified for. Note: You will see some scholarships have additional application requirements in order to apply for them.  Effective November 13, 2015, Buffalo State is migrating all scholarships to a new system called AcademicWorks. AcademicWorks will provide a centralized location for all scholarships and streamline the process for students. Scholarships will be migrated over the course of the spring 2016 and fall 2016 semesters. If you have questions, please email scholarship@buffalostate.edu.